Why consider a kitchen or bath remodel? 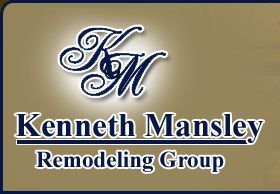 Remodeling is an excellent investment in your home. The kitchen/batch is an essential part of every home, so anything you can do to improve it is likely to add to the attractiveness and equity of your home. Determining a budget is a serious matter. We can help you with this. On average a kitchen remodel should be at least 15% of your current home’s value. At K.M.R.G. we pride ourselves on quality, economical, yet creative designs with a full line of semi and custom cabinetry to meet even the most discriminating customer’s demands. What key points do we need to consider when deciding that remodeling is right for us? How much time to do you spend in the kitchen? How many cooks do you have? How often does the family sit down to meals together? How committed are you to recycling? What is the average timeframe for a remodel from start to completion? For a kitchen remodel, plan on a time frame of 6 – 8 weeks after cabinets arrive. For bathrooms plan on 1 -2 weeks (except for custom installations) after cabinets arrive. Keep in mind that this timeframe includes plumbing and electrical hookup as well as any customization or work order changes.